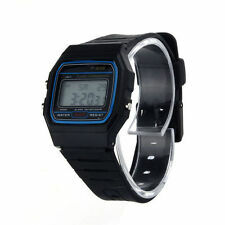 1 x LED wrist watch (Black). Color: Black. Case material: Stainless Steel. - Band material: Stainless Steel. Detail Image. - Band Width:2cm approx. 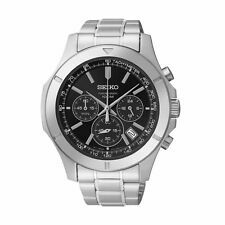 Keep up with your busy schedule with an unbranded men's watch. These unbranded watches are often wider with larger faces for an eye-catching appearance. Whether you prefer a watch with Roman numerals or Arabic numbers, analogue wristwatches are available with a wide range of dial features. Designed with stylish and functional displays, they are the perfect additions to your wardrobe. LED wristwatches are distinctly easier to read than other watch display types. Typically designed with a quartz crystal and a tiny digital computer in order to keep track of the time, they have superior accuracy. Mechanical movement wristwatches showcase the perfect combination of traditional design and ease of use. They are very low-maintenance for added convenience. Quartz movement wristwatches are classic timepieces that are easy to maintain. 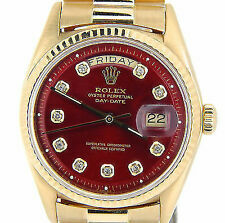 The movements are renowned for their accuracy, making these watches especially reliable. Skeleton watches are beautiful timepieces that display all of their internal moving parts for an elegant and sophisticated appearance, while chronograph watches are versatile and convenient, stylishly combining stopwatch capabilities with a standard time display. Watches with alarms are useful accessories that you can wear all day long. 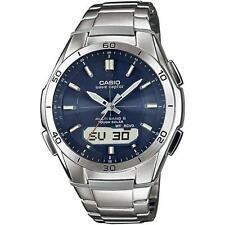 24-hour dial watches are ideal for those who use military time. 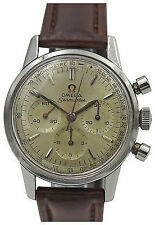 What are some popular Unbranded men's wristwatches to consider on ebay?